While most of North America was tucked away in their comfy and cozy beds resting for tonight’s New Year’s Eve festivities, DREAM rose from the ashes like a phoenix to host another end of the year extravaganza early this morning in Japan. The hybrid card featured MMA and kickboxing bouts. 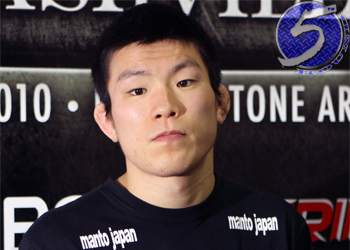 A lightweight scrap between former Dream lightweight champion Shinya Aoki (Pictured) and Antonio McKee headlined the show. CBS Sports Network will air the kickboxing portion tonight at 10PM ET. On Tuesday night, fans can catch the MMA segment during the same time slot. Saitama Super Arena in Saitama hosts the gig.